For Valentine's Day, I purchased a bunch of paper hearts at the dollar store and our family created a kindness door. 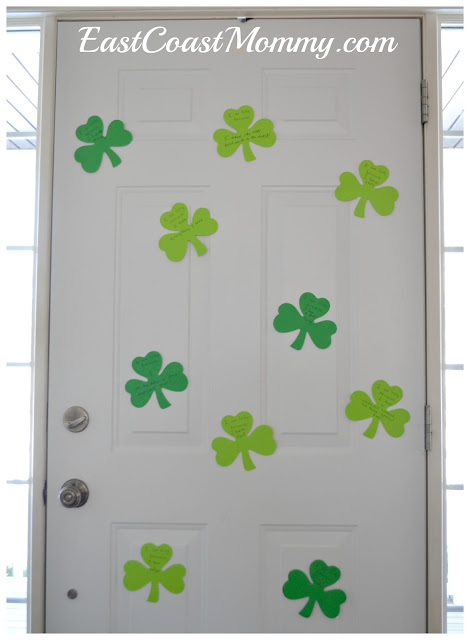 I loved how it turned out, so for St. Patrick's Day, I decided that we should construct a gratitude door. 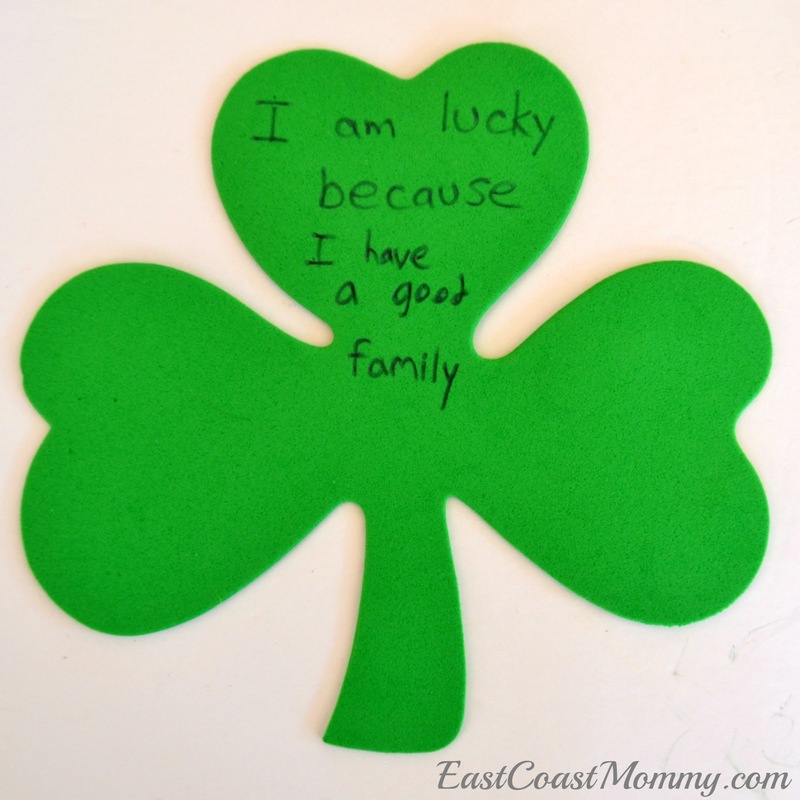 The festive decor was fun and EASY to put together, and my boys took some time to reflect on the many things we have to be grateful for. I wrote "I am lucky because" at the top of a bunch of shamrocks that I purchased at the dollar store. 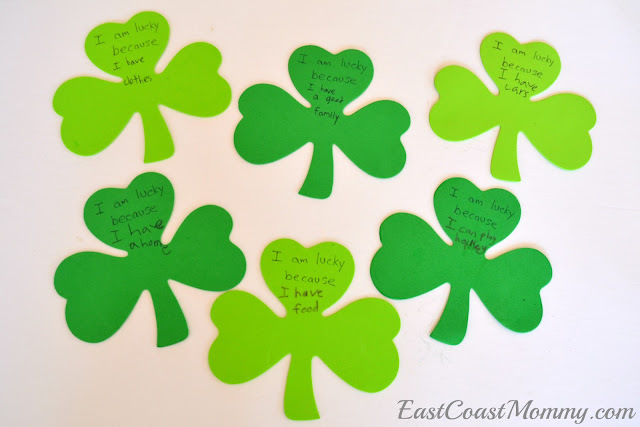 Then, each of the members of my family completed a couple of shamrocks. 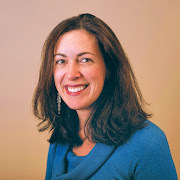 I love that they spent time thinking of reasons to be grateful for all of our blessings. 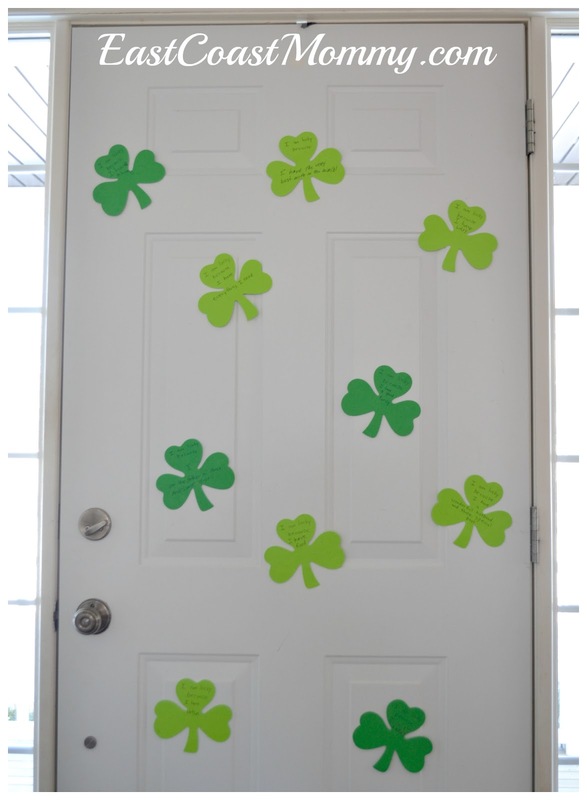 When all of the shamrocks were finished, I used masking tape to attach them to the inside of my front door. 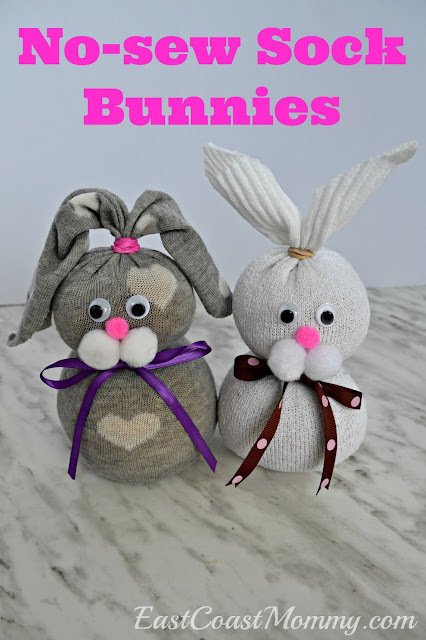 Isn't this a clever idea? 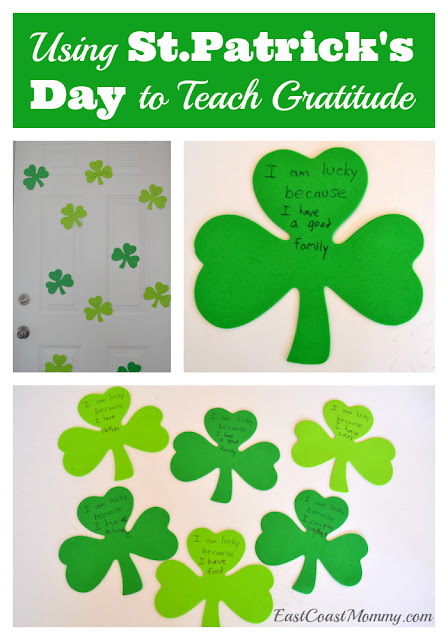 I absolutely love this St. Patrick's Day activity, and I look forward to making this gratitude door an annual part of our St. Patrick's Day celebrations!